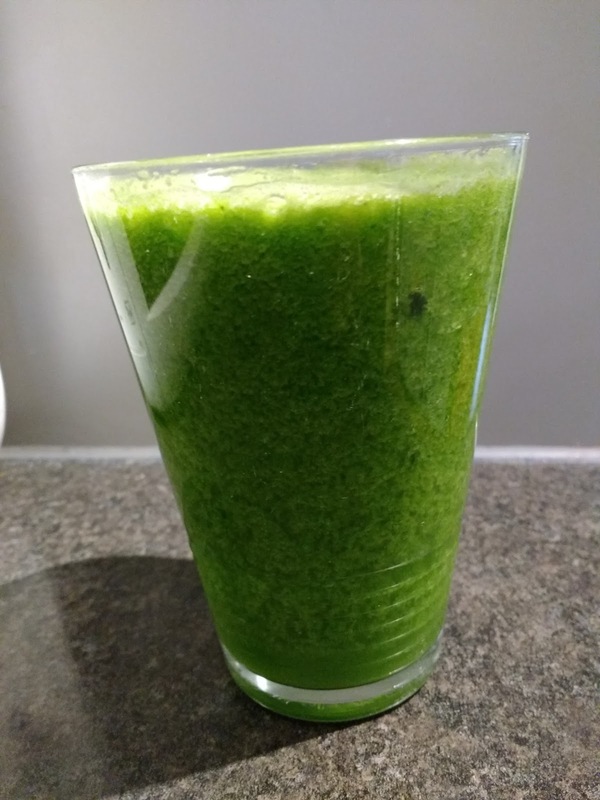 Only day 2 of the juicing plan .... and the next 26 days are stretching before me. I don't know if I will be able to make it. Need to take it one week at a time. Headache today. I assume because of detoxing sugar, dairy, gluten ... All at once. I continue to feel clearer headed, though, and more energised. We cleaned the house today, and packed away all the Christmas decorations. Normally I wouldn't have had the energy to do as much as we did, and it feels so much better to have a clear, clean house. I am the kind of person who finds clutter stressful! Monday afternoon is usually our chore day, but it was delayed this week ... We have a rota, so the boys have to do their share. And we rotate jobs so that they learn to do different tasks - Important life skills. The boys had a friend over today, too, so there was lots of playing outside, tennis and skateboarding, as well as some guitar playing. 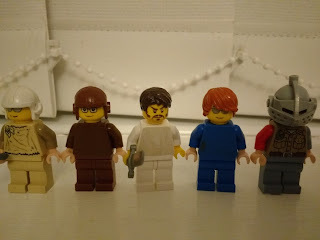 Littlest son is really enjoying playing with Lego minifigures, and making up stories involving them all. They all have names, and he gets very upset if he loses anyone. 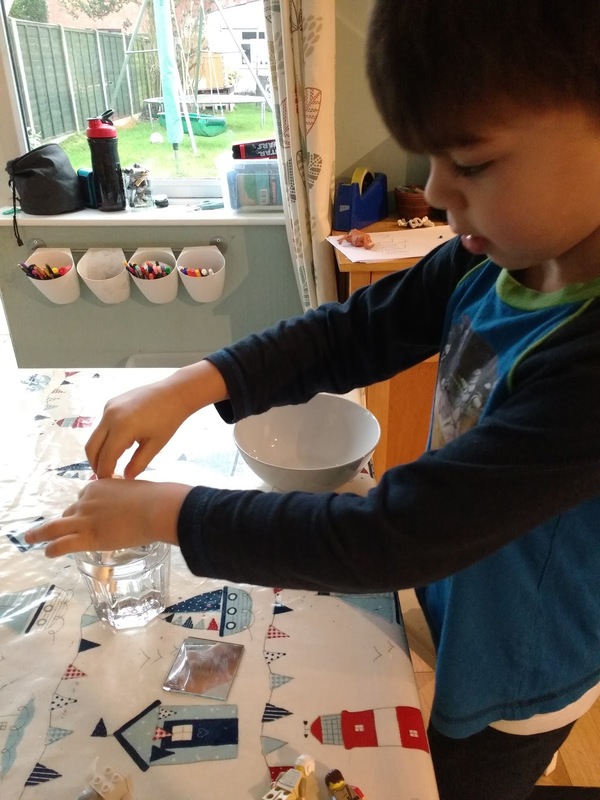 He is also interested in doing experiments, usually involving water and mixing things together. I asked him what his 'hypothesis' was, and when I explained what I meant, he told me very definitely that he wasn't making any hypothesis. Today, though, looking at water and then at a mirror, he commented that both are clear and spent a while looking at the reflection of the water in the mirror. I am also amused watching my third son make up Bear Grylls adventures for his little brother as if they are in some challenging environment and facing different challenges. Smallest brother is absolutely hooked, and hangs on his every word. This game is especially popular at bathtime when crocodiles and sharks are encountered in the water. Love the world of imaginary play.